Ford will halt assembly of the Fiesta (shown) for a total of 11 days in October and November. BERLIN (Reuters) -- Ford will cut production of its Fiesta subcompact at its plant in Cologne, Germany, in the fourth quarter because of slowing demand in some of the region's key markets, the automaker said today. The carmaker will halt Fiesta production at the plant for 11 days in October and November, citing "lower demand" in the second half of the year. 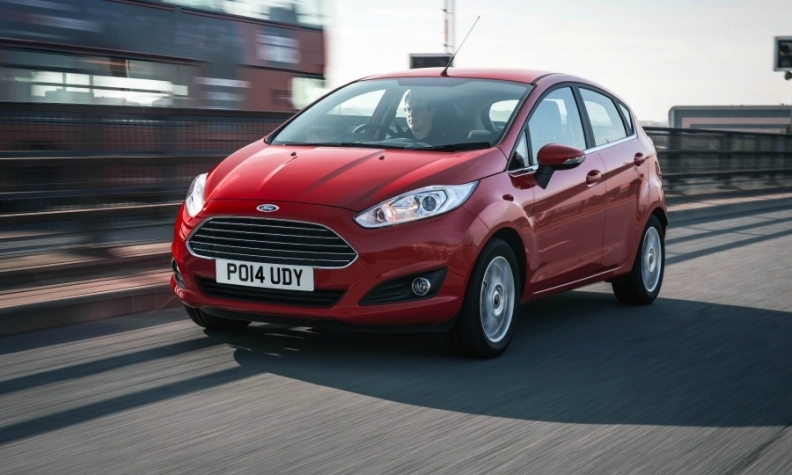 The Fiesta is Ford's best-selling model in Europe. European sales of the hatchback rose to 190,816 in the first seven months, up from 175,433 in the same period the year before, according to data from JATO Dynamics. The rise helped the Fiesta retain its position as Europe’s No. 2-selling model in Europe after the Volkswagen Golf. Ford said it will apply for subsidies under the German government's Kurzarbeit or short-work program as the production cut will affect about 4,000 workers at Cologne. The plant employs 17,300 people. The short-work scheme was used by many struggling companies in Germany during the 2008-2009 downturn, allowing them to preserve jobs by reducing employees' hours when plant usage was low, with the government compensating workers for part of their lost wages. Download PDF, above right, for European car sales for July/August and eight months. Overall passenger car registrations in the EU and EFTA markets rose by just 2 percent in August to 701,118 vehicles, according to industry association ACEA, raising concern among some analysts that sales momentum is slowing in the region. Demand fell in Germany, France and Italy -- three of the region's top five markets. Ford's European sales were up 15 percent in August to 48,628 vehicles.